A vivid picture of Berlin beer drinking in the 1890s comes down to us courtesy the digitized Pittsburgh Dispatch of December 18, 1892. The article was written by Frank G. Carpenter who later became known as a prolific, global travel author. To write this article, he clearly had assistance from the American consulate. Without meaning anything invidious in relation to what diplomats do, it is interesting that numerous accounts of European beer and wine customs survive from the 1800s, written by diplomats or, as here, with their assistance. One can’t avoid the feeling that those on foreign postings sometimes had extra time to indulge such interests, although the articles generally contain economic and business data, a function of foreign missions to be sure. Indeed, it isn’t just beer production and pubs whose economic impact are appraised, Carpenter explores as well the waiting profession, male and female, and the market for home servants (mainly female). The Berlin style of beer he discussed, Weisse, still exists but without its former influence. It is a “white” or cloudy-refractive style with a component of malted wheat. 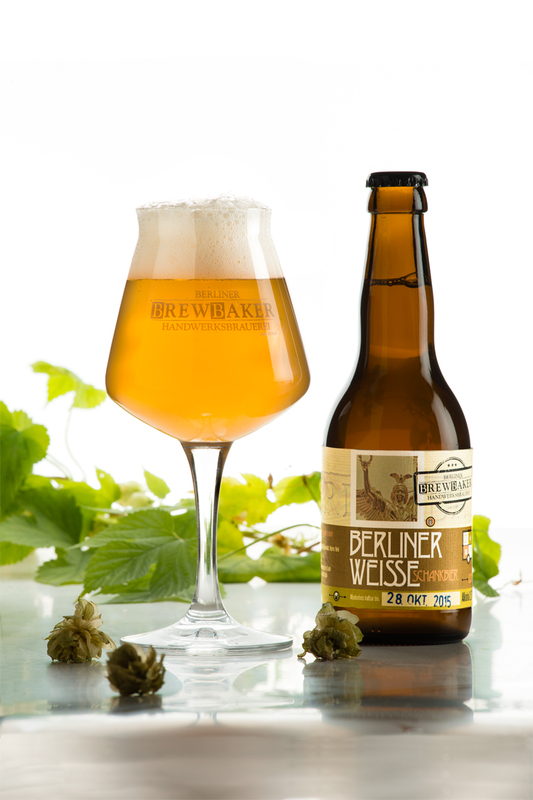 Berliner Weisse can be related broadly to Leipzig’s Gose Bier, Lambic in Belgium, white beer (Wit) in Belgium especially as it was in the 1800s, and other lactic styles which sometimes are flavoured with fruits and spices. These are all top-fermented beers, “ales” viewed colloquially. Carpenter was careful to note that Berlin liked other styles of beer as well, but he focused on the city’s home style, Weisse. It was traditionally a weak beer, approximately 3% abv, and still is both in Berlin and as brewed by craft emulators around the world. It is also generally considered a summer brew due to its sharp taste and low alcohol. The quantities taken in by Berliners (1892) are hard to believe but other evidence of the time is in support and being a professional travel writer, Carpenter had no reason to fib. Four quarts at a sitting was not uncommon. Students were expected to put away 10-12 quarts while many men in the workforce went higher, up to 18, some every day said Carpenter. He was an American and would have meant 32 oz for the quart, not the British 40. But still, four quarts is 128 oz. That’s almost 11 normal-size bottles of beer, even at 2.5% abv, it equates to almost six standard drinks. Students were putting away 10-12 standard drinks, and many men went higher as a daily occurrence. These habits reflect a pre-industrial, semi-rural pattern which as a societal practice is now only mirrored during Munich’s Oktoberfest or similar events. The queerest beer I have ever seen is the famous Berlin product, known as Weiss bier or white beer, and I shall not forget my first experience with it. A man connected with our consulate asked me if I would not have a glass and he took me to a “white beer” saloon and ordered a couple of glasses of white beer. A moment later the waiter brought them. Each glass was big enough for a baby’s bath tub and there seemed to be fully two quarts of beer in it. It was the color of golden syrup and the foam which ran over the top was as white as snow. Each glass was about eight inches in diameter, and I am sure that the contents of mine would have filled the crown of my plug hat. I had to take my two hands to lift the glass to my mouth and I can’t say that I liked the beer as well as our lager or the Bavarian product. The white beer is largely foam, and it is not uncommon for the Germans to drink four quarts of it at a sitting. It is not so heavy as the Bavarian beer and a great deal of it can be drunken without intoxication. Both then and now, Weisse was frequently dosed with a syrup of woodruff or raspberry, to flavour it and reduce the acidity. This would produce a green- or red-coloured beer. The golden amber mentioned by Carpenter is probably the beer without these additions. In the image shown of modern Berlin Weisse, the colour does rather look like golden syrup. At the time though, the barley malt component in Berlin white derived from a darker malt than is used today. Together with the pale wheat malt, this may have produced a somewhat darker colour than today’s. Weisse is not infrequently seen in modern craft beer bars. I saw a Berliner Weisse in Toronto recently, locally made that is, flavoured with mango. Craft versions can be good, but lactic acid in the tummy is an acquired taste (all beer is though, really). It was usual when Carpenter was reporting to eat large amounts of bread and cheese with Weisse, indeed this frequently constituted peoples’ dinner. The simple but sturdy fare may have provided a good foil for the acid beer. The article ends on a rather American note. In explaining the loyalty of German servant women, who could work for decades for a family and received a trinket in appreciation, Carpenter said American girls would “turn up their nose” at the prospect. 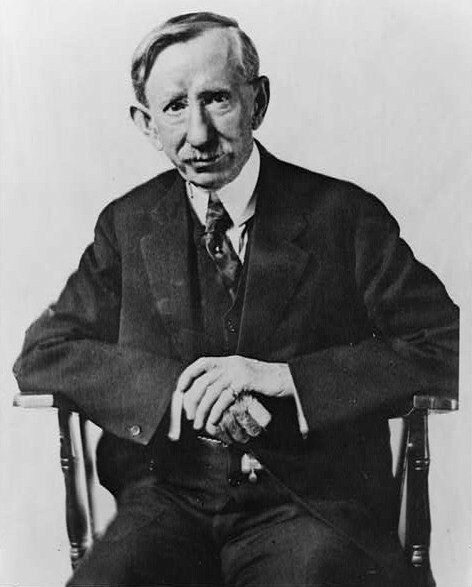 Note re images: the first image shown, of Frank George Carpenter, is in the public domain and was sourced from his Wikipedia entry, here. The second image is from the website of the innovative Brewbaker pub and restaurant in Berlin, here. Brewbaker, a must-visit on the itinerary of any craft beer fan, is at the north end of the Tiergarten in the city. “Schneeeule Berlin” ( https://www.facebook.com/Schneeeule.Berlin ) is producing Berliner Weiße close to the Weiße from the golden days of that beer style. Bottle fermented and with Brett. If you in Berlin you should try it! Thank you, I will review the link and excellent to know all this.